Summer is officially here! Many of you (or your children) are gearing up for attending that summer dance camp/intensive that you've worked so hard to get into! In just one week from today begins Ballet Magnificat's Summer Dance Intensive. Eager-to-learn ballet students from all around the country and world will be coming to join us, and we just can't wait for you all to get here!!!! 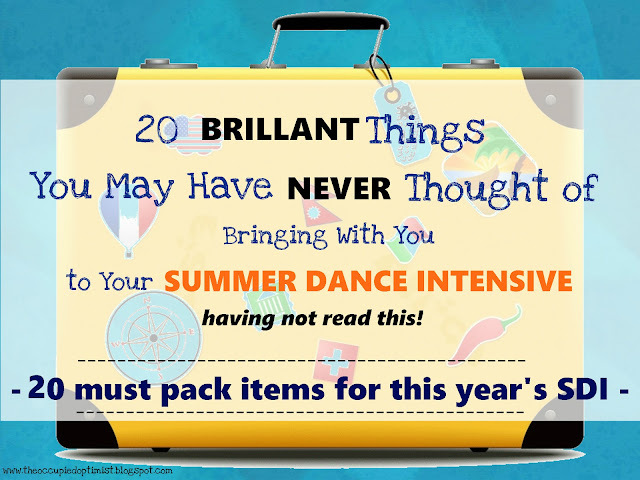 Whether you are driving or flying, here provided is a list of things you are definitely going to want to bring with you to the Ballet Magnificat Summer Dance Intensive. Check it out! #1 Extra pointe shoes. Along with being well stocked with all that toe tape, tiger balm, and other ballet accessories, be sure to bring extra shoes! Especially pointe shoes! A professional student's dance shoes should appear in good condition, and one should always be prepared to throw on whatever shoe is required of them, for whatever the dance class is that they're taking. It is good to have extra pairs of shoes in case you loose any, but also because you want to be prepared with backup shoes, in case your current shoes wear out! Word to the wise, with the heat and the intense humidity of the south, if you are coming to the Ballet Magnificat Summer Dance Intensive, bring extra pointe shoes! Because they will break down fast, and sooner than you may expect! #2 Fun colored leotard. I know most summer dance programs have some sort of dress code, but on rare occasion, if you are given the opportunity to wear something else/ whatever you want, you don't want to miss out on that! Consider that sometimes you are given this opportunity on the Fourth of July. Other times you are given liberty to wear whatever you want during conditioning classes or other extra supplemental classes. It is also handy to have your favorite colored leotards on hand for when you have some downtime in the evenings or on the weekends and want to have some fun doing ballet photo shoots or what not, around campus with your friends. #3 Journal. So maybe this is a given for those of you who like to write, but I suggest bringing a journal whether or not that is you. Your summer dance intensive is going to be an experience of a lifetime, and you are going to want to journal about your experiences and memories. You will also be learning a ton during the summer program inside and out of the dance studios. Be sure to jot EVERYTHING down so you will have something to reference back to. You won't regret it. #4 Hand Soap. Okay. The Ballet Magnificat Summer Program is held on the Belhaven University campus. Some of you will be lucky to be dorming in rooms that have their own sink and bathroom. Bring your own soap because though thankfully the dorms provide toilet paper for your bathroom, they DO NOT provide the hand soap. So please bring your own hand soap and spare your Counselor/Resident Assistant a trip to the store. #5 Little mesh laundry bag. In the dorms, you usually have to pay a dollar or two to do laundry. Here is a trick I've learned from touring with the company that I will share with you. If you want to save some money consider combining your laundry with a friend and splitting the cost. The trick is that instead of throwing all your clothes in the washing machine all together so that it takes forever to sort out in the end, one of you can put your clothes in the mesh bag so that your clothes stay divided the whole time, but get clean just as well! #6 Laundry detergent. Don't forget to bring laundry detergent! #7 Coins, lots of coins. You will need coins to do laundry. You will also need coins for purchasing yummy things from the vending machines. #9 Deodorant. You'd be surprised how many students forget to bring it... or maybe just forget to use it. You might find it refreshing to additionally use a pleasant fragrant body mist that you can spray yourself with all throughout the day. #10 Rain gear. You're going to be walking outside from building to building quite a bit. If you can rock the rain poncho and you own one, bring it! Bring your umbrella, bring your rain boots! It is all about being prepared. Anticipate doing very much walking around campus, from building to building. It is imperative that you pack good walking shoes! #11 A warm heavy sweater or hoodie. You may think I am crazy to suggest you bring a warm heavy sweater or hoodie to the Ballet Magnificat Summer Program when the average Mississippi Summer temp is in the 90's, but believe me when I tell you that typically the temperature of the dorms is freezing! #12 A camera. At the Ballet Magnificat Christian Summer Dance Program, up front, I will admit that we do supervise and limit student smart phone usage. It is not the students' favorite aspect of our program nor is it ours, but in the long run, we do find that doing this is beneficial. It is easier for students to make friendships with one another, helps against homesickness, and eliminates distraction. With all that being said, because you may not always have access to your phone camera when those special Kodak moments arise, you may want to consider bringing a separate digital, disposable, or polaroid camera. #13 An alarm clock. If you usually rely on your smart phone alarm clock to wake yourself up in the mornings, you won't have that as an option at our SDI so bring a separate alarm clock. #14 A book light. A book light will come to your aid while traveling, where lighting is dim in your dorm room, or when your roommate goes to bed before you. #15 Headphones. Out of consideration for your roommate, it is always good to have the option of whipping out your headphones. #16 Extension cord. The extension cord is my absolute favorite thing to take with me everywhere! Because nothing is worse than not having enough outlets or having that outlet you need, half way across the room. #17 Wall Flower. Most dormitories prohibit the use of candles, but the Bath & Body Works Wallflowers are a great alternative! I absolutely love these Wallflowers and think they are essential when it comes to making my dorm room feel fresh and cozy! There are so many scents to choose from. Some of my favorite scents can be found in my Astore. #18 Family photos. While you are gathering up all of what you want to decorate your dorm room with, don't forget to grab some photos of your friends and family! Photos will help you not to get homesick and are also fun to show off with your new friends! #19 Blue painters tape. Blue painters tape comes in handy when you need some adhesives for hanging things up on your dorm room walls. This is one product that you are going to want to buy name brand. Take my word for it. The cheap stuff doesn't stick, but the blue painters tape by 'Scotch' for example, does a great job and it will not damage your walls which is something you want to avoid doing. Most dorms charge you a fee for any damage you cause, so be extra careful when decorating your temporary room for the summer. #20 A good attitude! You are going to have a great summer! Work hard. Be teachable. Do your best, and keep an open mind and a happy heart! 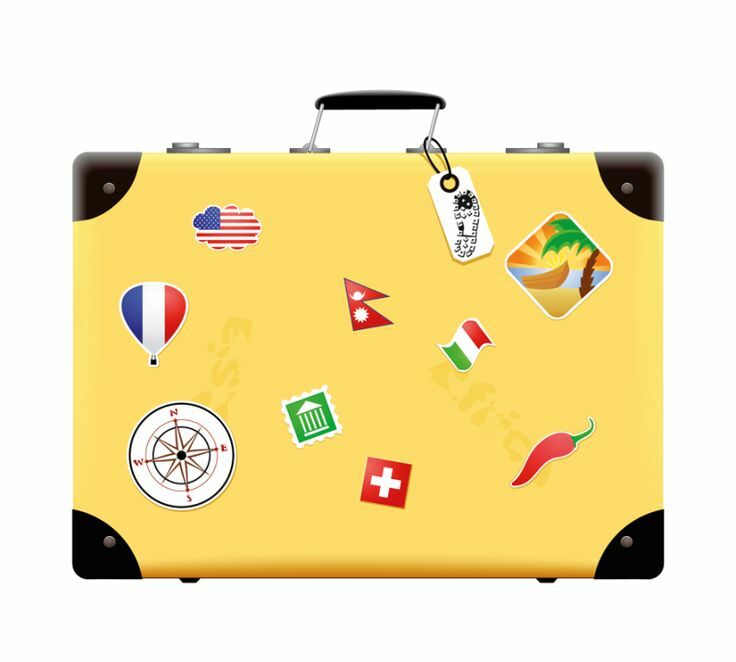 to share with us whatever else is important to you that you will be packing for your SDI!